Conferences can be a great way to develop personally and professionally. Not only are you surrounded by like-minded individuals with similar career goals, you’re also presented with great opportunities to stay on top of developments in your field and network with other professionals. Start by making a list of the business goals you want to accomplish this year. Do you want to master social media? Work on your presentation or prospecting skills? Learn Excel or other programs to help you get – and stay – organized? Once you know what you hope to get out of a conference, you can start looking for opportunities that meet your needs. Ask friends or colleagues for recommendations. Find out which events they found most useful. Sometimes, they can recommend a speaker or other professionals in your field who have information that’s particularly relevant to your needs. World Tour is a one-day training opportunity to gain ideas and inspiration, no matter your title. It takes place in dozens of locations worldwide and has great information for all Consultants. Scentsy Family Reunion is our annual gathering where Consultants and home office staff from around the globe meet and exchange ideas. You’ll see new products for the first time, gain recognition for your achievements, hear from world-class speakers and be inspired by Heidi and Orville themselves! Director Boot Camp is an opportunity reserved for new Directors, and helps them learn how to successfully run their business and manage their team. 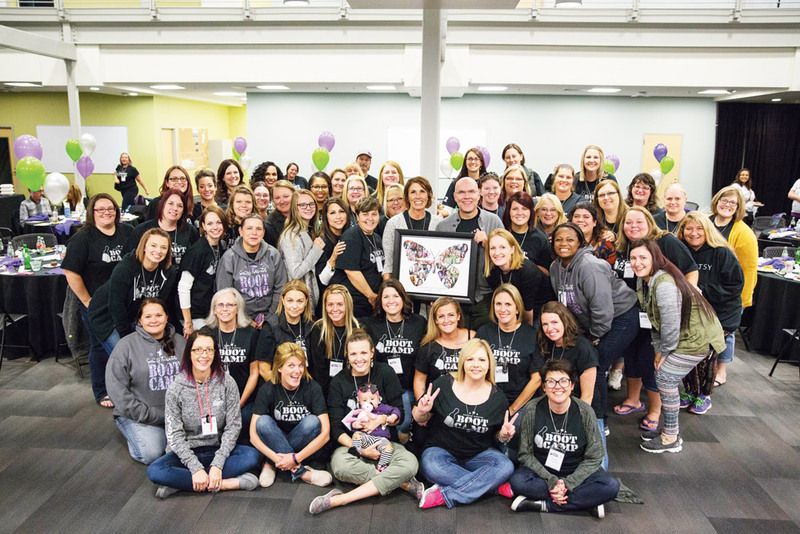 This three-day, small-group event is held every spring and fall at Scentsy’s home office in Meridian, Idaho. Star Director Summit Approach is designed for Star Directors who have mastered basic leadership skills and are striving to reach SuperStar Director. It’s held each fall at our home office. SuperStar Director Summit, also held each fall at our home office, gives SuperStar Directors an opportunity to share ideas and provide valuable insight into the company’s strategy. Equal parts recognition, celebration and information, this event is reserved for Consultants who have achieved our highest title. Leadership, held every January, gives Directors, Star Directors and SuperStar Directors advanced leadership skills. This event typically features training and presentations from world-class speakers and facilitators, as well as breakouts from the home office and your fellow Consultants. If there’s no conference that meets your goals or your budget, look for professional groups in your area that meet regularly, or consider starting your own group using meetup.com. Share your best advice for choosing training events or conferences in the comments below! August is a great time for family fun! What is a side business? I am super excited about World Tour!!!! Can you share the dates and locations for World Tour so Consultants can start making plans and budgets to prepare and ensure their availability for that conference? Hi Erin! Keep an eye on your workstation for updates coming soon! World Tour and especially Scentsy Family Reunion are so worth it. Always lots of good training, make new friendships, awesome speakers and FUN events. Once you have been to Scentsy Family Reunion you will never want to miss one. World Tour, I need this in my life! I’ll be stalking the workstation. Thank you! Whoooooo-hooooooo I’m registered and coming with bells on. I will be at the one in Raleigh. When will the exact location be announced. I need to make overnight reservations.